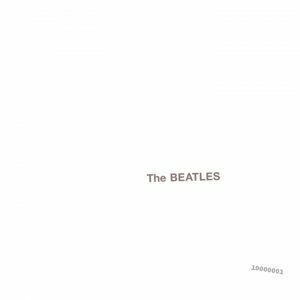 When I was 14, my mate Matt handed me a C90 cassette with the Beatles’ White Album on, and I spent an entire summer wearing that tape out. It remains one of my favourite albums ever. What blew my mind was the sheer breadth and scope of the music on the album. There were stunningly beautiful acoustic songs (Blackbird, Julia, Mother Nature’s Son), there was proto-heavy metal (Helter Skelter), a sly bit of Country (Don’t Pass Me By, Rocky Raccoon), a dip into orchestral Hollywood (Goodnight), early Ska influences (Ob-La-Di Ob-La-Da), a dash of music hall (Honey Pie), sound collages (Revolution 9) and much, much more. It’s also the scariest Beatles album. There’s a feeling of unease that going through it, starting with the way Glass Onion breaks into an ominous orchestral section at the end, the sickly nursery rhyme of Bungalow Bill and the downright weird Wild Honey Pie. The ominous feeling culminates towards the end, though. What on earth happens at the end of Long Long Long with all the ghostly rattling and the scary wailing voice? Why does Cry Baby Cry feel so damn uneasy? Why does Paul’s hidden song Can You Take Me Back begin, only to fade away immediately? And then, of course, Revolution 9, which is an eight minute sound nightmare. It really does need to be listened to in order, though. Hearing some of the songs out of context just doesn’t seem to work, much like reading a random chapter from a book without knowing the rest. Do yourself a favour, put 90 minutes aside and dig in.